Growing stronger with strong people behind us - are you one of them? Send an application as a nurse, therapist or home health aide today! We explore all avenues to give you the appropriate care and attention through our home health services. You deserve the best from us. Progressive Home Health Care goes through great lengths to achieve your satisfaction! You are our priority and we address your health in a customized way. 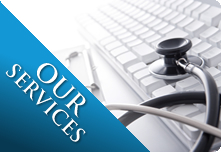 We know that your healthcare requirements are different from the next patient. What’s more, your care requirements at home are even more unique. This means that the care or service procedure we deliver to you at home should suit your unique needs too. At Progressive Home Health Care, we do more than personalize healthcare services for the elderly, the ill and the injured - we genuinely care about your situation. Being a privately-owned company, we operate like a family. We treat our patients like part of our own family. We know that the courtesy we extend to patients at home will return to us favorably. By playing a positive role in the community, we hope to improve the health and wellness of the people who live in the same environment as we do. In the process, we hope to be Florida’s preferred home health services provider to individual clients, patients, families and a full household. Please call us with any questions at 561-748-8700.